You don't have to wait for quality or durable items before you start a capsule wardrobe; you can use what you have now! There is no "right way" to create or wear a capsule wardrobe. You can have a larger closet with multiple sets of clothes, or you can shed all the extra and have a bare-bones capsule. Neither one is wrong. You don't have to wait until you have quality pieces or durable pieces. Yes, those are nice and they are helpful. But what's even more helpful is being able to pull together outfits easily right now. Don't let the fact that not all your pieces go together or that you don't have certain items from capsule wardrobe lists, keep you from pursuing a capsule. In my opinion, a capsule wardrobe is a tool to ease you mind and your morning so that you're not wasting needless time or thought on something so simple as an outfit. It's helping you get out of the door quickly without leaving a giant pile of clothes on your bed from the fifteen hundred times you changed clothes. Don't wait to get started. Choose 20 pieces from the wardrobe you have right now. Choose your favorites. See if they mostly go together. If other pieces would work better, switch them out. Do this until you have a simple set of clothes that easily go together and begin wearing it tomorrow. Having a capsule doesn't mean that you can never wear anything outside of this set ~ you can. It only means that you have an easy route of choosing an outfit so that you can get out of the door in a hurry. Or better yet, have a slow morning with an extra cup of tea or coffee since you already know what you're wearing. 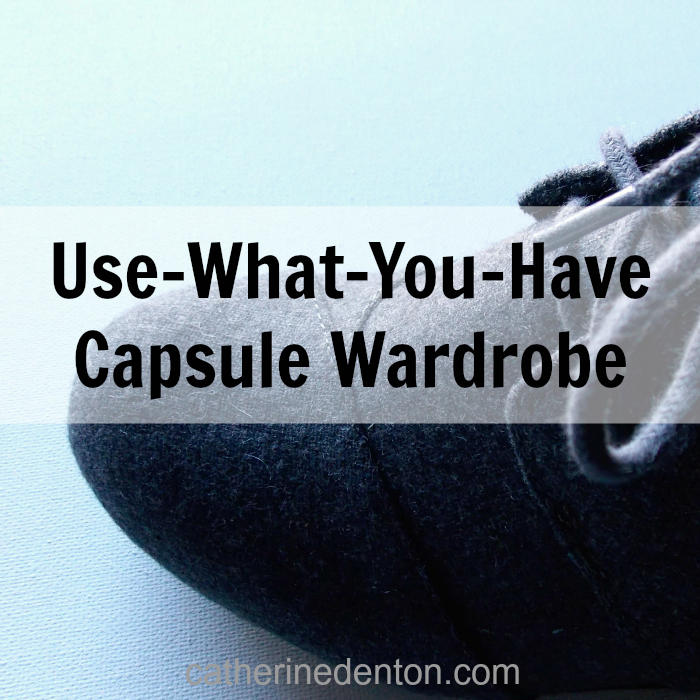 Let a capsule wardrobe help you. Don't delay the help because you're waiting to afford quality pieces. Use what you have now! Thank you for this brilliant advice!